During holidays or weekends, every one of us would like to go on for a trip to have a great fun and excitement. Whether you are traveling with your friends or family, you need to search for great deals on car rental in Melbourne to enjoy the vacation within your budget. If you are not careful, you may end up spending more than your determined budget. So, utilize the below given tips to save your hard earned money on car rentals. There are many car hire companies offering a small discount for making payment well in advance. If you do so with the intension of getting a discount, you may lose the opportunity of saving money when the rental prices get dropped. Renting a car for one or two days seems to be more expensive that renting it for a week. Most of the car rental companies will give you a refund when you rent a car for the extended period of times. Of course, you should also be very careful and check their terms and conditions before availing such offers. Another exclusive way to save your money on car rentals Melbourne is to avoid hiring at the airport. Airport car rentals will charge you more than what you would be paying for cars rented from offsite agencies. In addition, you may be required to stand in a long queue to rent a car at the airport. To avoid all these hassles and save money on car rentals, it is certainly worthwhile to book well in advance from car hire agencies. 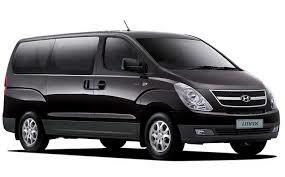 Getting quotes from two or more companies and comparing them will let you find the best deals on car hire in Melbourne. Today, almost all car rental agencies have their own websites where you can find complete information about their services and prices. By going through them, you can easily figure the cheap car rentals. Of course, there are many comparison sites that let you compare the offerings of different service providers and find the best yet cost effective services. If you have all these aspects in your mind while looking for car rentals, you can definitely make a huge saving on your Melbourne trip.